Firefighters tackle the blaze Monday at Notre Dame Cathedral in Paris. Durango residents who came from France or used to live in France reacted to seeing the disaster. 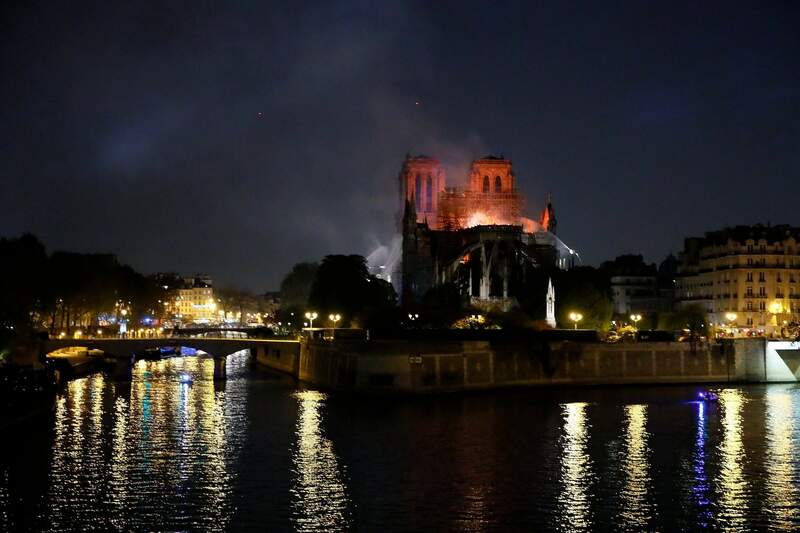 Notre Dame Cathedral burns Monday in Paris. Massive plumes of yellow brown smoke filled the air above the cathedral. A firefighter tackles the blaze as flames and smoke rise from Notre Dame Cathedral as it burns Monday in Paris.. Firefighters tackle a blaze at Notre Dame Cathedral as it burns Monday in Paris. 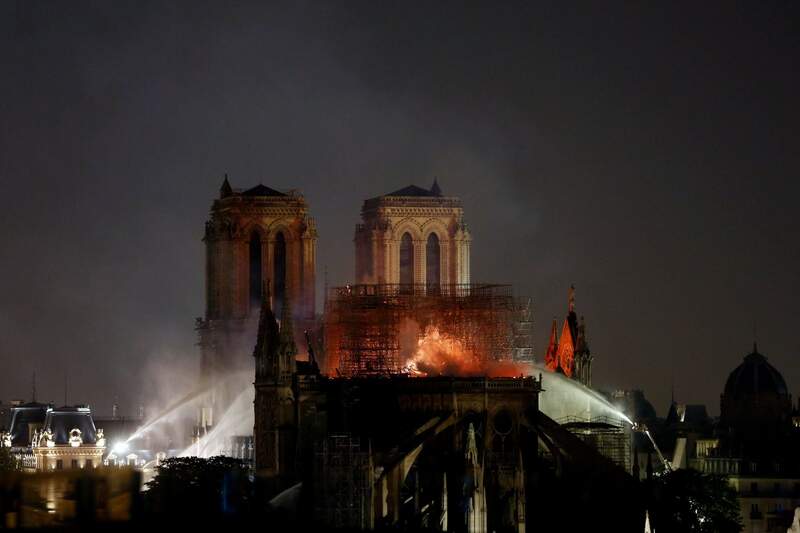 Notre Dame Cathedral burns Monday in Paris. 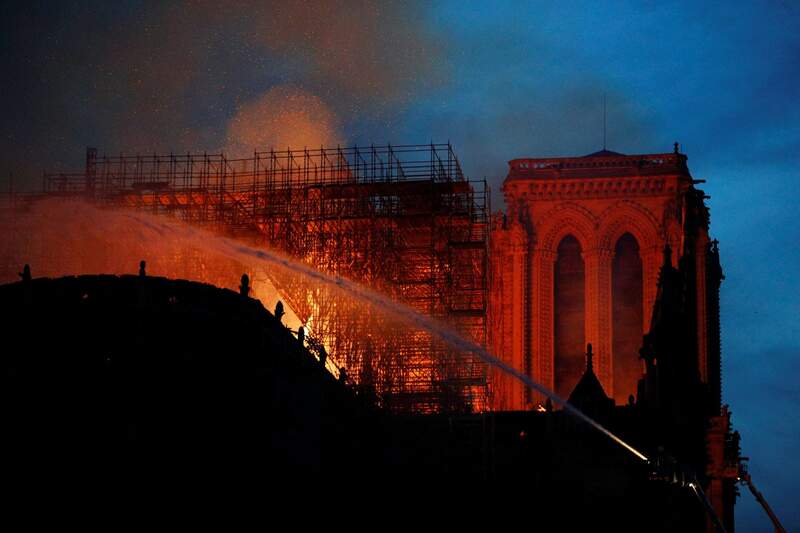 A catastrophic fire engulfed the upper reaches of the soaring cathedral as it was undergoing renovations. Firefighters use hoses as Notre Dame Cathedral burns Monday in Paris. 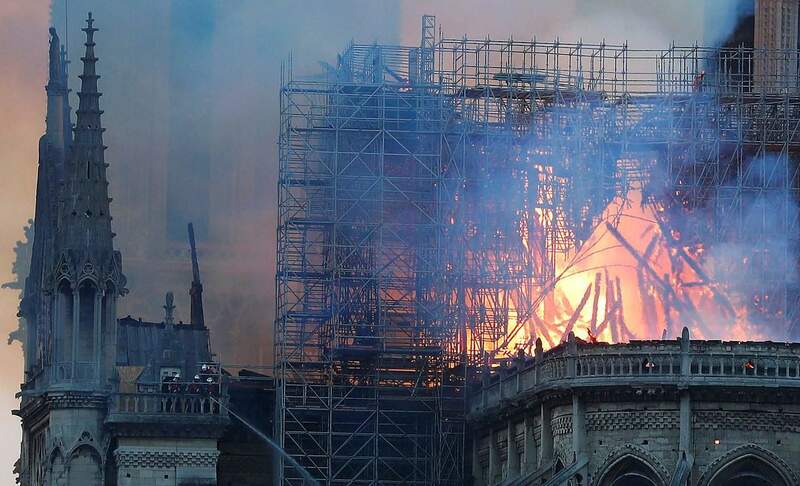 A catastrophic fire engulfed the upper reaches of the soaring cathedral as it was undergoing renovations. Flames and smoke rise from a fire at Notre Dame Cathedral on Monday in Paris. The cathedral is 850 years old. For Durangoan Jean-Pierre Bleger, seeing flames engulf Notre Dame Cathedral on Monday summoned feelings of watching the World Trade Center towers fall on Sept. 11. 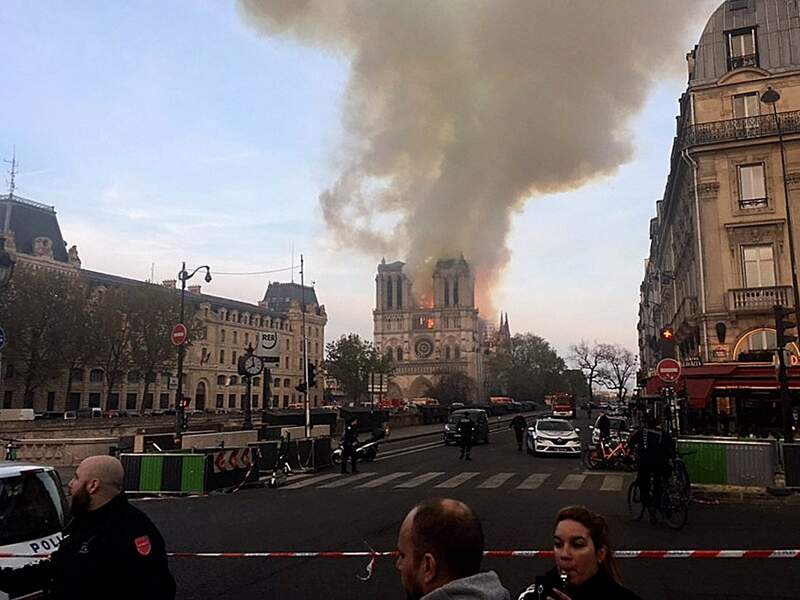 “It takes you right in the guts,” said Bleger, who owns an apartment in Paris near the iconic church. He also owns Jean Pierre Bakery and Wine Bar on Main Avenue in Durango. 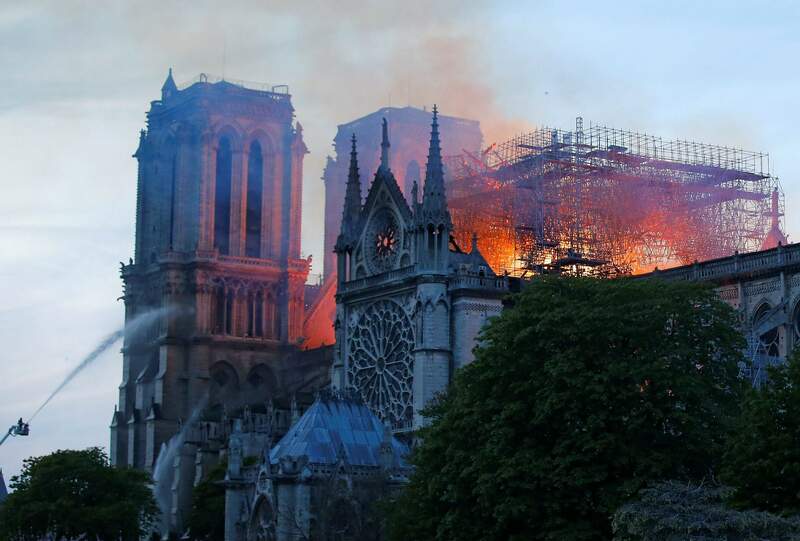 The church’s roof and spire had collapsed by Thursday night, but firefighters expected to save it from destruction, CNBC reported. The cause of the fire was also unknown, according to multiple international news sources. Bleger said he heard about the fire through phone calls from 13 friends and acquaintances, including one of his property managers in Paris. “She was horrified,” he said. He said he hoped the stone portions of the 13th-century structure would survive and the church could be rebuilt. “I have no doubt that they will do that,” he said of rebuilding. One of the people who called Bleger to talk about the fire was Michel Poumay, owner of Michel’s Corner Crepes on Main Avenue. Poumay is Belgian, but he was born in southern France. He has also visited the cathedral many times. 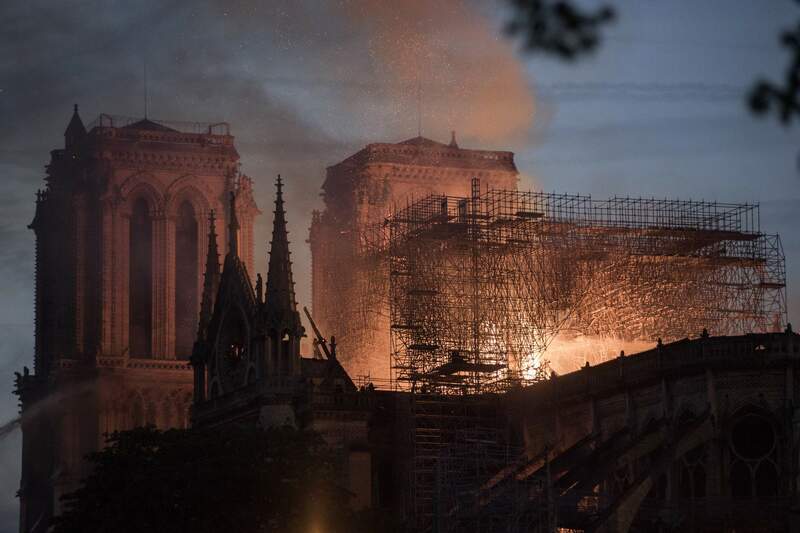 Poumay said seeing the cathedral burn is akin to the White House catching fire. But he noted Notre Dame is a medieval structure, started in the 1100s. 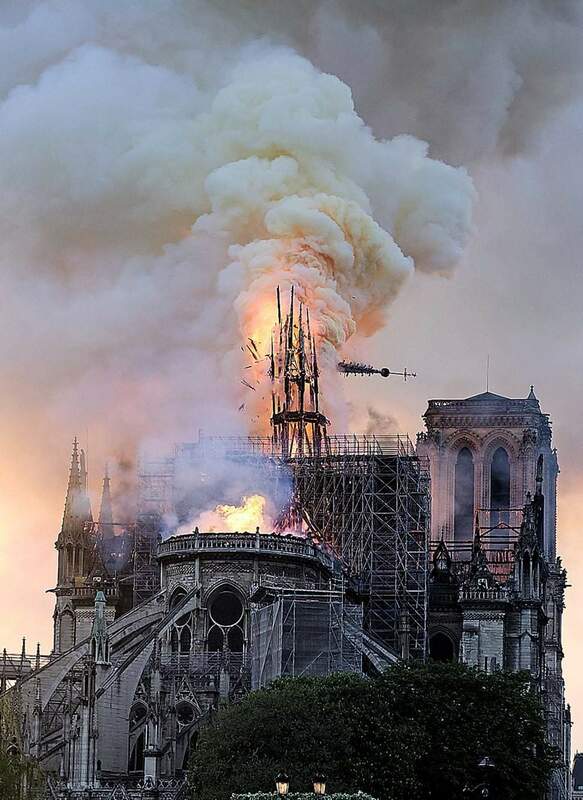 So it represents centuries of history going up in smoke. “It’s astronomical to us,” he said.